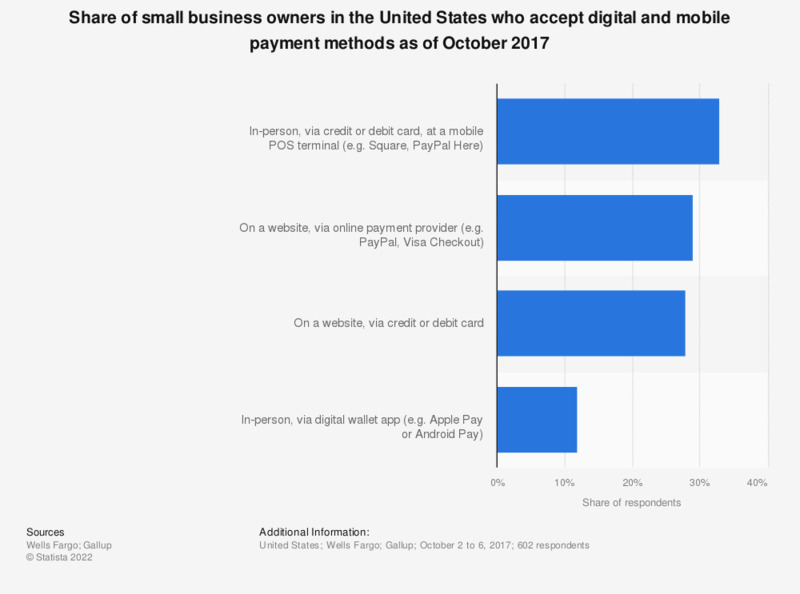 This statistic shows the share of small business owners in the United States who accept digital and mobile payment methods as of October 2017. During the survey period, 28 percent of respondents stated that they accepted credit or debit card payments via their website. Question: How do you accept payments from your customers?